Throughout my career, I have fought for people who have been mistreated in the workplace or wrongfully terminated from their jobs. I am passionate about helping employees secure meaningful solutions which will allow them to move on in their lives and careers. I have spent more than 20 years advocating exclusively on behalf of employees. Employee rights law blends everything that makes me passionate about practicing law. I embrace the opportunity to positively impact my clients' lives in a meaningful way, whether the employment issue involves wrongful termination, employee discrimination, retaliation, harassment, unpaid wages or employment contract issues. Although a significant objective of most employment disputes involves the recovery of financial damages, I also see the legal process as an empowering avenue to recover the dignity and respect that employees have worked so hard to build within their communities. In 2004, following several years as a litigation attorney with a small Bay Area employee rights law firm, I founded the Law Offices of Alan Adelman to continue fighting for the rights of employees. 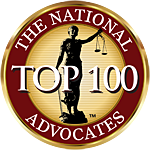 One hundred percent of my law practice is focused toward representing employees only in a wide array of employment matters. My undivided focus on employee rights law allows me to stay current on this constantly evolving and complex area of the law. I have represented several hundred employees in a wide variety of employment litigations throughout Northern California. I am an experienced trial lawyer, having completed nearly 20 trials in state and federal courts. During the course of my career, I have successfully litigated against several of the largest corporations and employment defense law firms in the country. I have secured a seven-figure recovery on behalf of a disabled employee who was terminated while seeking accommodation. I have secured six-figure recoveries for well over one hundred employees. I have won several six-figure jury trial verdicts. Either call my San Francisco office at 415-906-3331 or contact me online to determine whether I can assist you with your employment matter. For all my litigation cases, I work on contingency fee only, meaning you only pay attorney fees if and when your case is successfully resolved and a recovery is secured.